There are no rules. 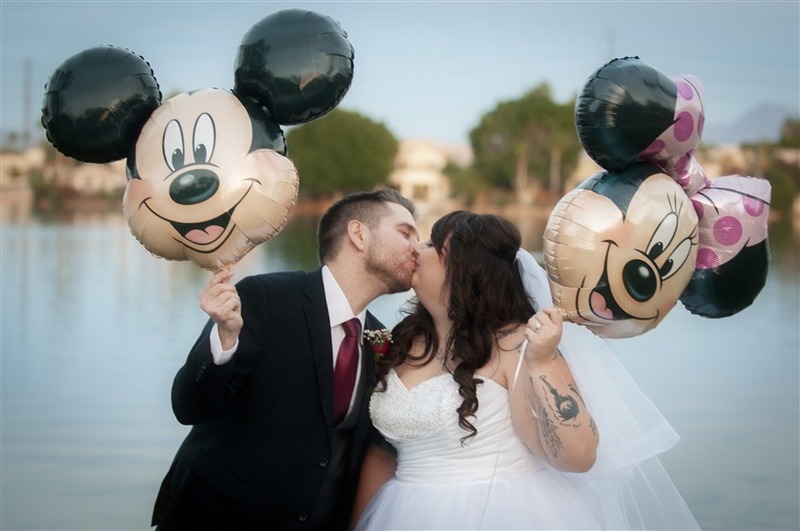 Brianna Vesely, owner of Ever After Weddings, believes every wedding is unique and personal. Enjoy your day your way. 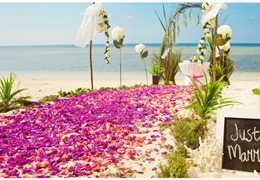 Wedding Planner Brianna will arrange all of the details, including any pre-wedding parties. My customer service experience helps me stay calm in stressful situations, food services taught me how to work in fast-paced environments, accounting taught me money and time management, and my art and design helps my creative side come out when designing for a couple! I finally feel like I love my job and am so excited to see my skills and business grow! 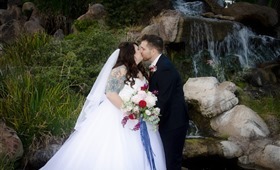 My name is Brianna Vesely, and I am the owner of Ever After Weddings! I offer wedding planning services including day of coordination, full wedding planning, wedding parties planning (bridal showers, rehearsal dinners, engagement parties, etc), and even marriage proposals! I have been involved with weddings for friends and family for a few years, but officially started my company after my own wedding in 2018. I have multiple certifications in wedding planning, five years of experience in accounting, and art and design degrees. Once I planned my wedding, I knew this was what I wanted to do. I feel that all of my previous jobs led me to this! My customer service experience helps me stay calm in stressful situations, food services taught me how to work in fast-paced environments, accounting taught me money and time management, and my art and design helps my creative side come out when designing for a couple! I finally feel like I love my job and am so excited to see my skills and business grow! And so Ever After Weddings was born out of my love for weddings, helping people, designing, and of course, the love that I get to witness between two people. And that is my favorite part of my job. I get to see the love between two people on their best day! I guess the first wedding I planned was when I was 18. My best friend, Megan, got married to her amazing wife. Although the reception was relaxed and laid back, as her maid of honor, I could not stand by as small things kept going wrong. The DJ equipment was malfunctioning, the weather proved to be windier than expected, and the wedding cake got crushed in the box! I fixed the speakers, tied down the decor, and refrosted the cake! I felt so happy seeing the look on her face when her wedding, although not perfect, was everything that she hoped for and wanted. After that day, I took on a more active role in planning more of my friends’ weddings and parties. When I planned my own wedding, I had the most fun time! Everyone said that it would be stressful, but it wasn’t. I figured, why not help couples create their most special day when it comes so easy to me? This is a service that I can offer! And so Ever After Weddings was born out of my love for weddings, helping people, designing, and of course, the love that I get to witness between two people. And that is my favorite part of my job. I get to see the love between two people on their best day! My overall style is a mixture of modern and fairy tale. I want every bride to feel like a princess in her own way! My overall style is a mixture of modern and fairy tale. I want every bride to feel like a princess in her own way! By mixing fairy tale and modern elements, I am able to take old, classic ideas and give them new life in such unique ways that match the couple that I am working with. However, I am not afraid to leave my comfort zone to try new styles that the couple want! Themed weddings are my absolute favorite types to plan! They are challenging for me to take a theme or a fandom and create decor, centerpieces, and other ideas that incorporate this unique idea! These types of questions show such an active role in the planning process and really helps the couple know if I am the right planner for them. They want to know that by spending money on me, they will save money in other places. And they will! As a wedding planner, I offer three basic services. Day of coordination allows peace of mind that all the details planned by the couple will come together as they envisioned! After the couple has planned most of their big day, I will make sure it all runs smoothly. 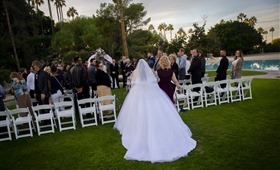 I help create and manage timelines, coordinate with vendors and the bridal party to stick to the timelines, set up and tear down of the ceremony and reception spaces, greet and assist guests, create a seating chart, and much more. Most importantly, I am there to fix anything that might go wrong. 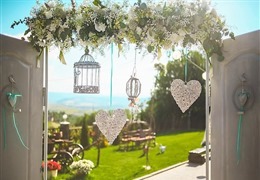 Full wedding planning services allow every detail to be arranged, either with the couple’s input or not so that they can just enjoy being engaged! I will help create and stick to a budget, recommend and hire vendors, manage invitations and RSVPs, schedule vendor meetings, help design the decor, and provide etiquette and tradition advice. 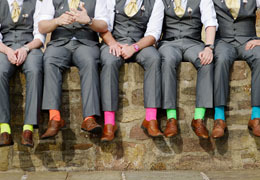 My wedding party service offers party planning for all other parties involved in weddings! Engagement parties, bridal shower, welcome party, rehearsal dinner, and any other parties that you may want! 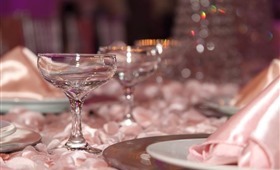 Ask your wedding planner for their detailed lists of services and discuss your specific needs! 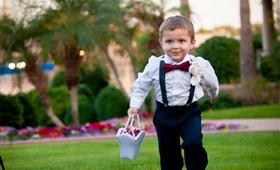 Planners will usually do whatever is needed to help a wedding go perfect! What are the advantages of hiring a wedding planner? They have knowledge of why things are done in certain ways, the best way to approach touchy subjects, and the best advice to plan your wedding without any issues. They have done this before and that is valuable when you may feel lost in the process. Most brides and grooms don’t have experience planning a wedding. I remember talking to my husband when we were planning and telling him about certain traditions and etiquette and he was completely surprised by some of them. For example, the bride’s name traditionally goes first on invitations. Why? You probably don’t know. But a wedding planner does (because traditionally the bride’s family would host the wedding and therefore invite people to the wedding of THEIR daughter to the groom)! 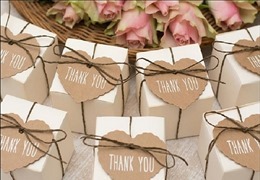 Although most traditions can be ignored for the modern couple, it is still a skill that a wedding planner can provide. They have knowledge of why things are done in certain ways, the best way to approach touchy subjects, and the best advice to plan your wedding without any issues. They have done this before and that is valuable when you may feel lost in the process. What is the procedure for planning a wedding? I start my planning process by getting to know the couple. Who they are, why they love each other, how they met. This helps me create THEIR wedding. I will ask them questions on what they have already decided on whether it be colors, themes, time of year, venue, or nothing at all. That gives us a base to jump from and continue creating their vision. Following the first meeting, I would dive into different ideas to present to them and one idea after another create the wedding of their dreams. After that, we would handle the logistics of hiring vendors, creating budgets, guest lists, timelines, etc. And when the day comes, I make sure everything goes by without any issues. And if there are any issues, I fix them. What was the hardest part of planning a wedding? For me, the hardest part is making sure you don’t forget anything! There are so many small details that may completely slip your mind! Being organized and detail oriented will help make sure you don’t forget anything. The hardest part I see from brides is them trying to please everyone. Weddings can be stressful for everyone involved, but the important thing I like to tell them is that they have to be happy with the decisions. Your wedding is for you and your true love! That is the most important thing. Which portion of the process keeps you busy the most, and what takes the most energy? The month leading up to the wedding and the wedding day itself is the busiest part of the planning process! A lot of final details can’t be finalized until so close to the wedding day. The month leading up to the wedding and the wedding day itself is the busiest part of the planning process! A lot of final details can’t be finalized until so close to the wedding day. Receiving final RSVPs, finalizing head counts, having final meetings with vendors, making sure all decor is bought, finishing dress alterations, making sure the bridal party is organized, etc. So much time and effort go into the final days. The day of the wedding will start at breakfast because you don’t know if you will be able to eat again! After breakfast, I will be onsite at the venue as early as allowed to start setup and organizing before all other vendors arrive. I will speak the bridal party to ensure they are running on time, touch base with any family members helping with anything, and have my timeline prepared for the arrival of the vendors. As vendors arrive, I double check details with them, ensure they have everything they need, and sign off on the completion of their setup. Once guests start arriving, I greet them and assist with any special needs, direct them to the guest book, gift table, and seating area. During the ceremony, I ensure everything runs smoothly while preparing the cocktail hour/ start of the reception. I follow my timeline for special moments like first dance, cake cutting, shoe game, and any other special occasion that the couple wants to add to their day. After the party, I see the couple off with their friends and family and start the cleanup process to finish out the day! Don’t sweat the small stuff! Something will always go wrong, but that’s what I am there for! Yes, your wedding is an important day, but at the end of it, you will have married your best friend and have started your lives together! Be open to new ideas and the process will be easier for everyone! A wedding professional may know more than you, and that is okay! That is why you pay them! It is okay to want what you want but listen to their advice. They are thinking of what is best for you! 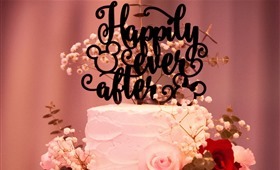 Learn more about Ever After Weddings, LLC and see what they have to offer!